Meal courtesy of The Grill on the Market. 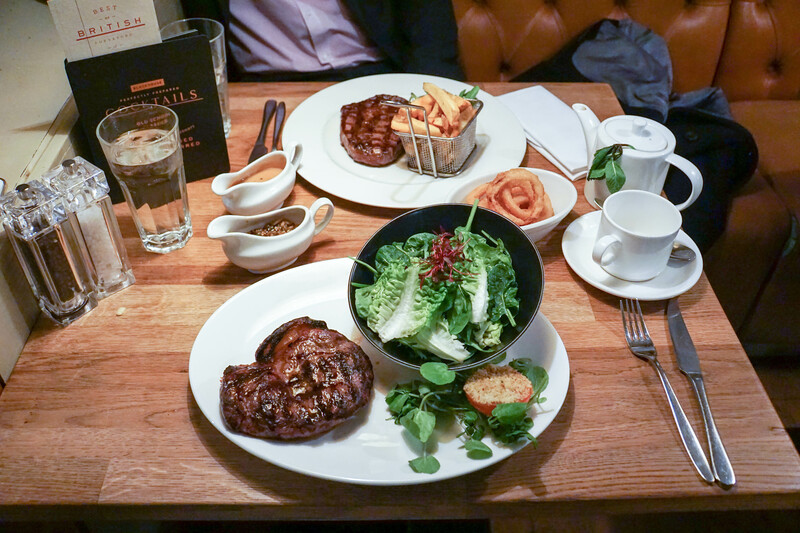 This was already one of my favourite go-to places for lunch with close proximity to the office – The Grill on the Market has been constantly voted as one of the top places for steak in London. 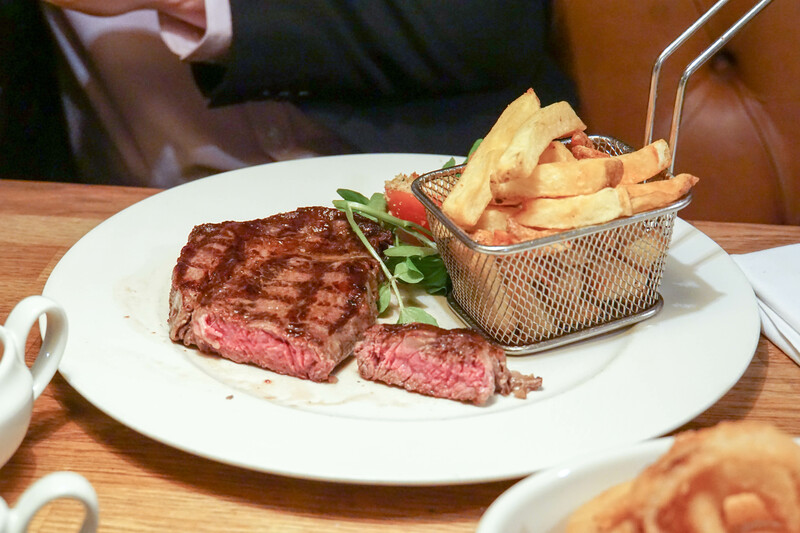 Alongside steak powerhouses, Gaucho and the Goodman chains, The Grill on the Market has one of the finest selection of steaks straight from Smithfields Market, where – it was formerly an execution site! Focusing on no nonsense food, The Grill on the Market offers something more unique with a variety. 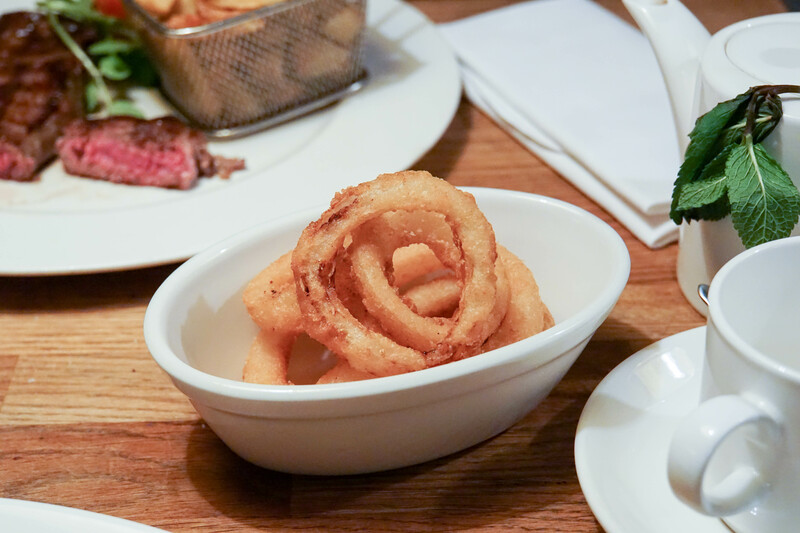 Situated in the middle of the Square Mile, the restaurant is catered and suited for business meetings, party bookings and more. Seafood is abundant on the menu – namely their oysters, fish and lobsters. 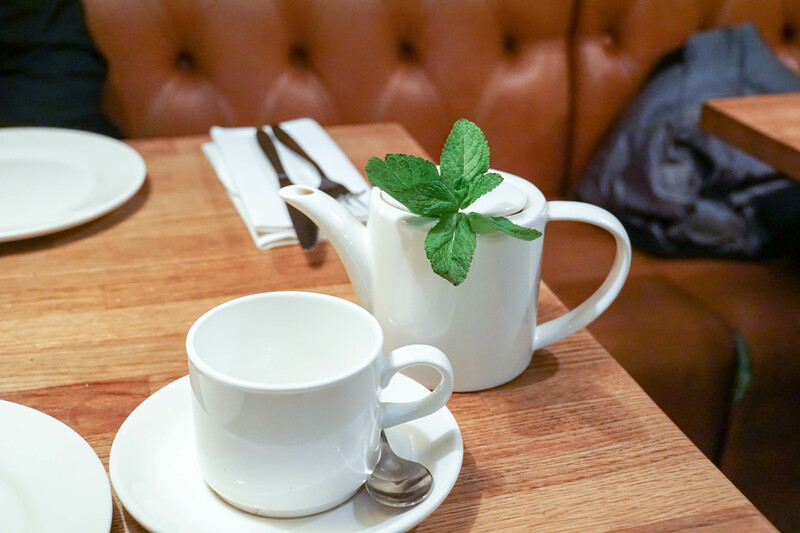 Not to mention, brunching on Saturdays here would give you unlimited glasses of bubbly! We chose to have an appetizer to start off with. 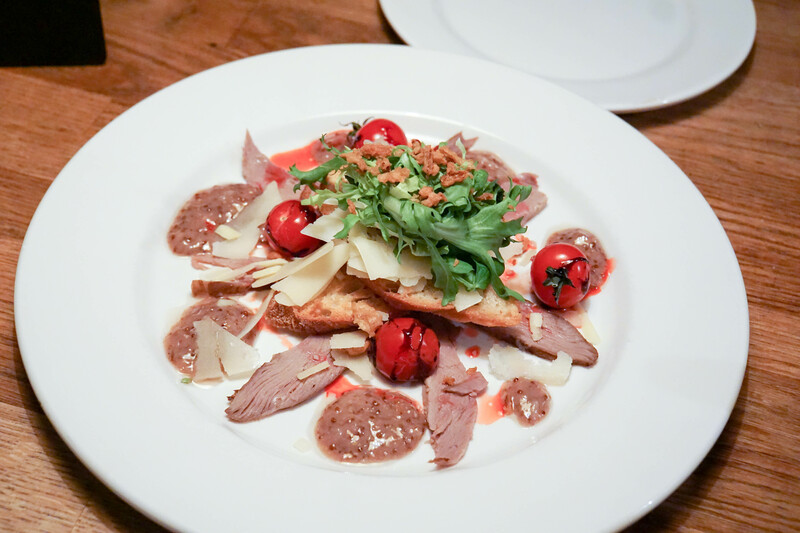 The Smoked Duck Salad came neatly presented with an assortment of quaint toppings. Walnut dressing gave it a nice nutty kick and completed the balsamic roasted cherry tomatoes, savoury and sweet flavours co-existed with cheddar cheese topping and raspberry vinaigrette. The duck itself was tender and a light touch to start the meal. If only I could portray how fine the quality of these meats are through the blogging platform, but who knows, 3D blogging may come into existence in the near future! I went for the big boy cut at 340g (I know.) 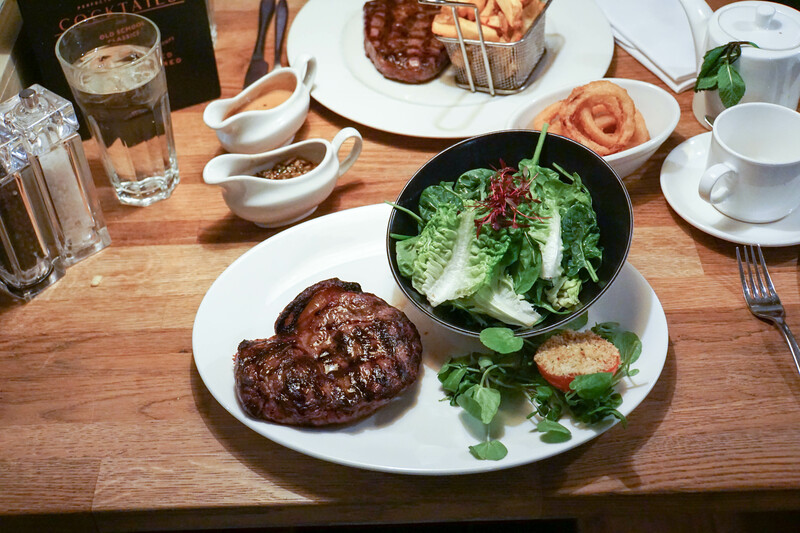 A salad side was chosen instead of the hand cut chips complement – feel free to ask your waiter to do a bit of a mix and match to suit your dietary requirements. Sides on offer vary from Heritage Roots and Greens to Buttered Mash Potato. The sirloin steak was succulent. Aged on the bone for a big beefy flavour. It is recommended to be served medium, I went for a cheeky medium rare. 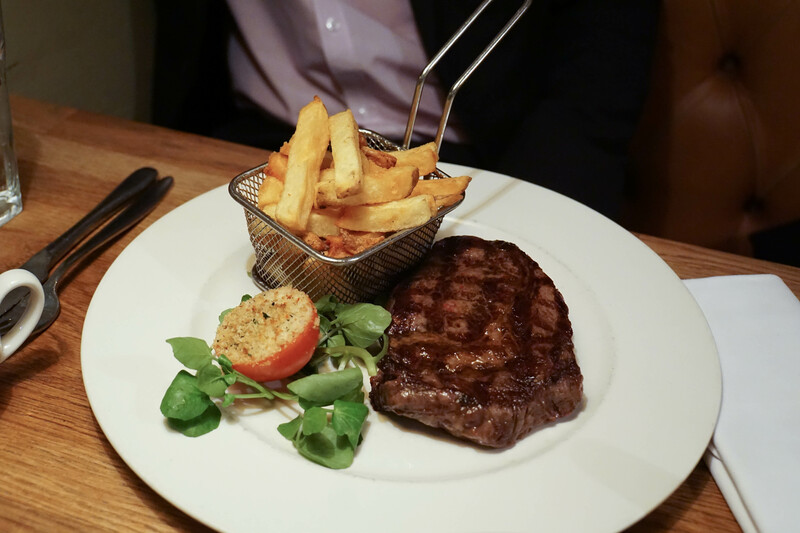 The juiciest cut they say – and it certainly looked it Liam also opted for medium rare complemented with good quality hand cup chips. These steaks are best eaten without sauces, as they contain enough flavour themselves. Peppercorn, Bernaise, Chimichurri and Red Wine & Shallot sauces are available for those who want to go the extra mile though. Have it however you like it! Delectable. We were running short of time on our lunch break but we just had to squeeze in their signature dessert. 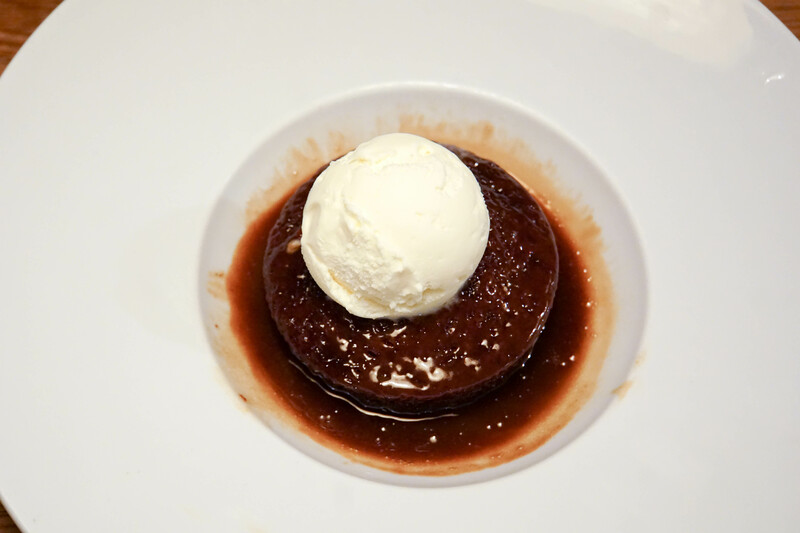 The stick toffee pudding was moreish. Definitely suited for those with a sweet tooth. Fresh from the oven, so much so that it was still steaming with vanilla ice-cream oozing its way out of the center, it’s definitely one of the best cheat-meal desserts you can go for. 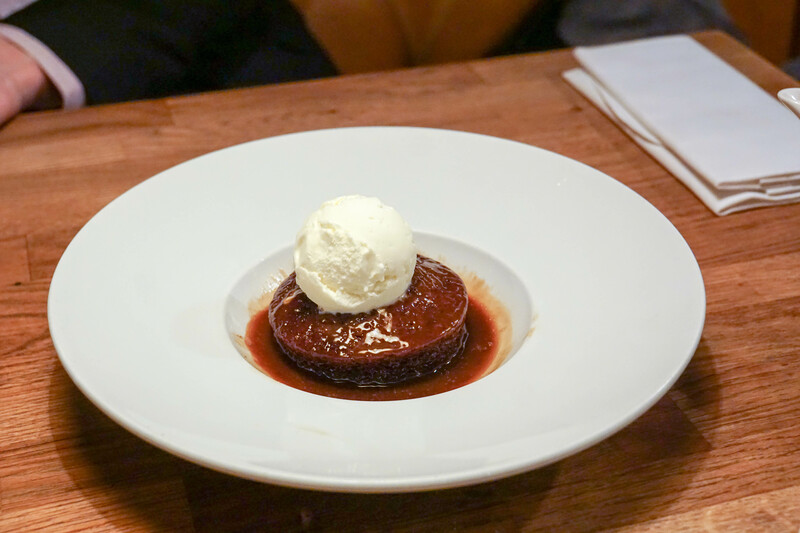 The sponge itself was soft, soaked in nectarous toffee..
Service: Can be a bit slow if you miss the timing in grabbing their attention. If you’re in a hurry for lunch, let them know when ordering. The waiters know their stuff. 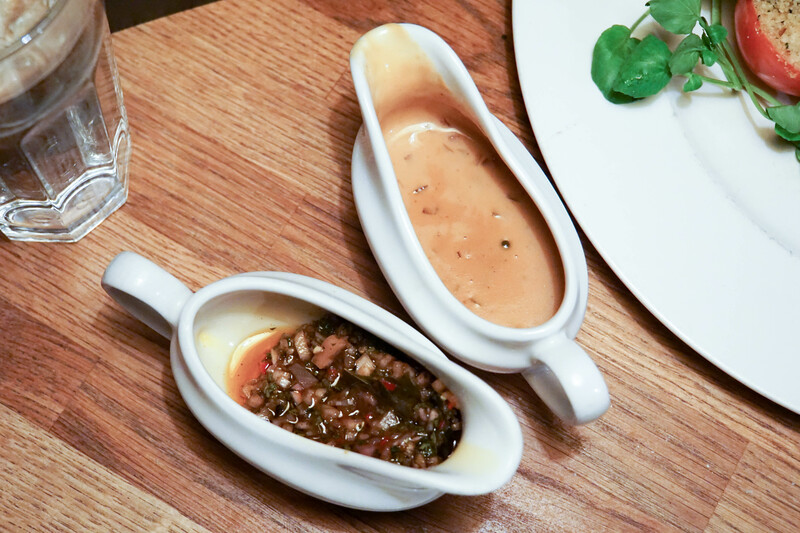 Simply ask if you’re not sure how you want your steak or what sauce to compliment it with! 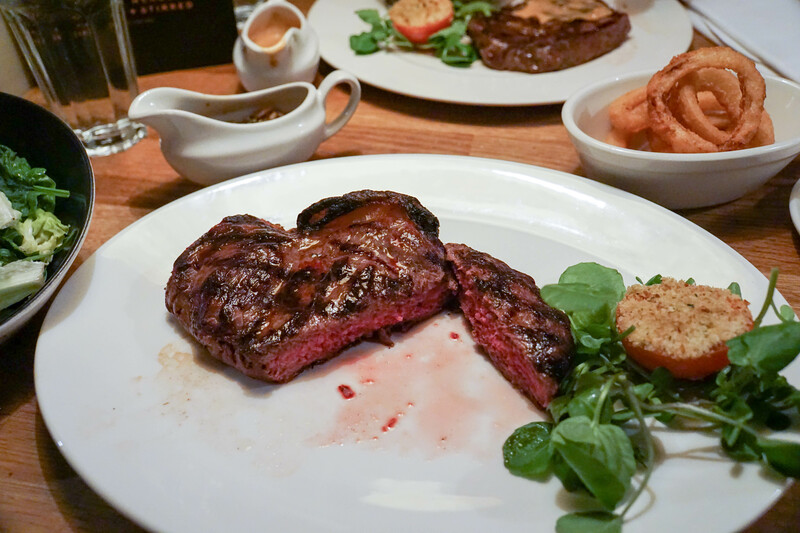 Oo I’ve not tried the wagyu fillet before – must do next time!